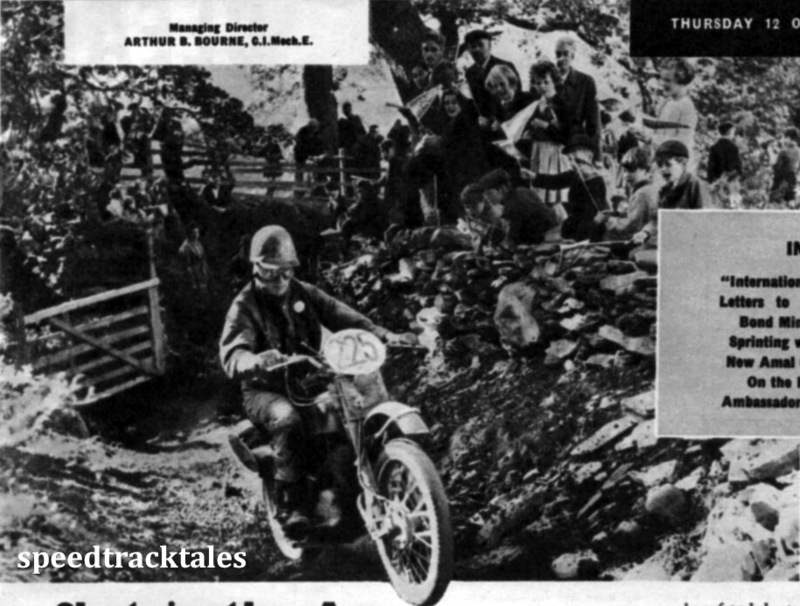 A quick update to reward you patience for the usual summer sparsity of speed track tales lately. 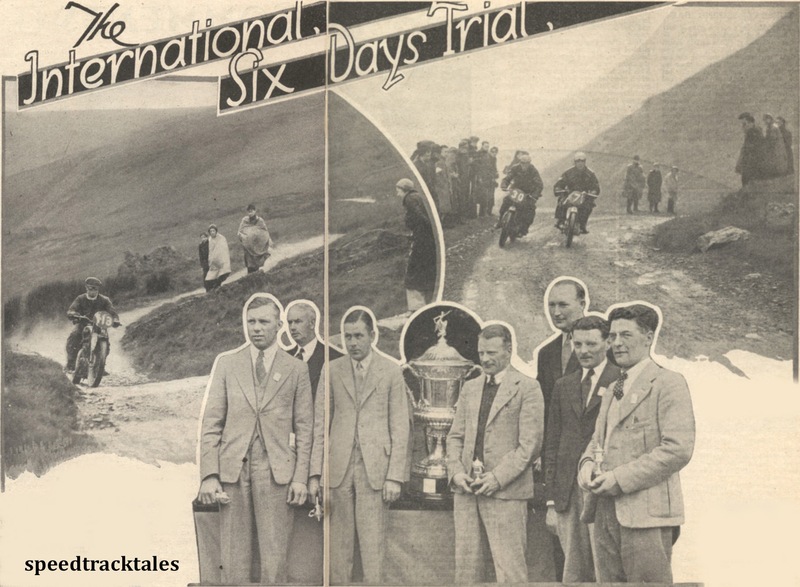 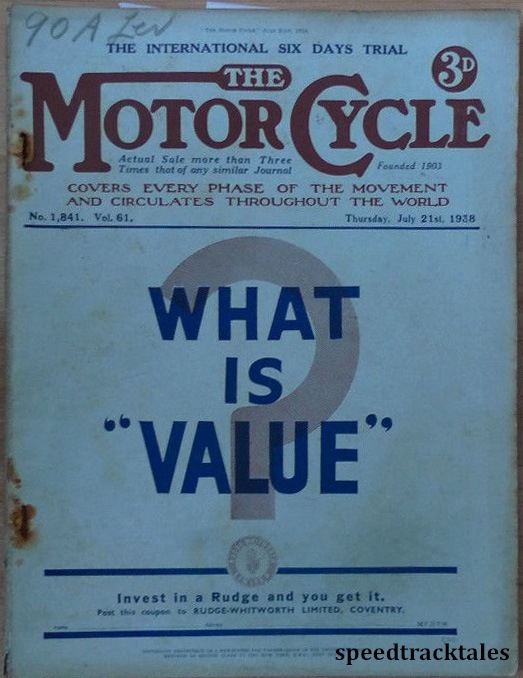 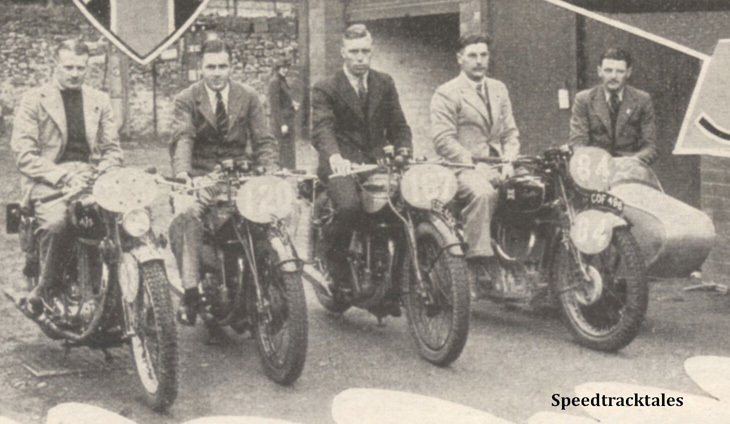 STT has just acquired an original copy of the 13 July 1938 issue of Motor Cycling covering the opening of the ISDT that precedes the issue of the 20th July covering the events and results that can be found in our issuu library. 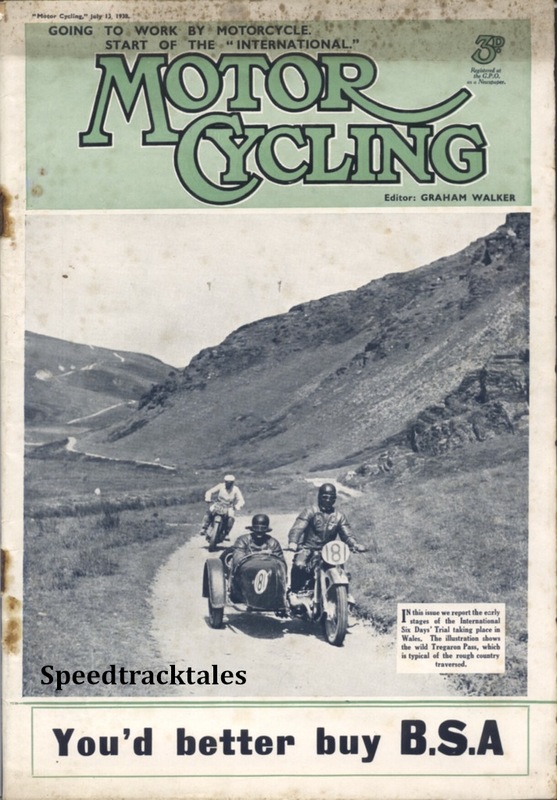 The cover images is taken of two riders a few miles to the west of Abergwesyn on the old Tregaron – Abergwesyn Mountain Road, as they come from Tregaron. 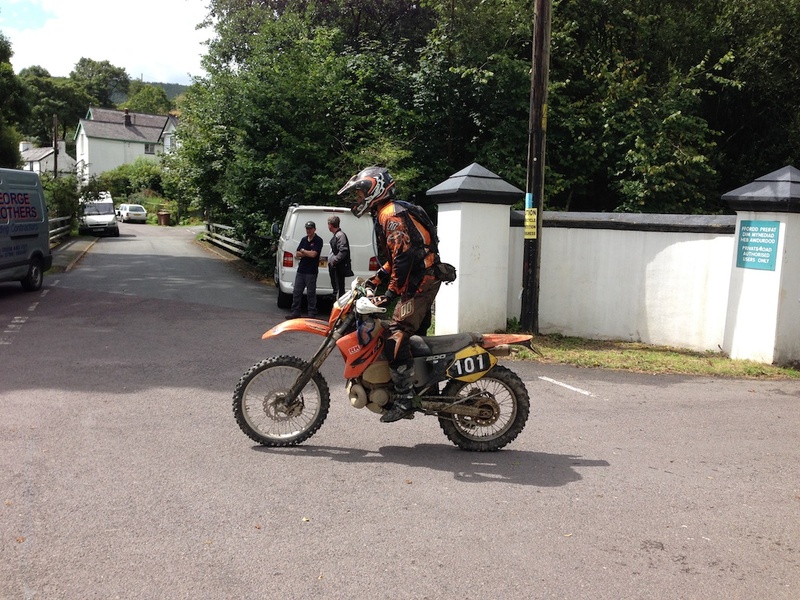 The old road, which was a regular favourite of the ISDT, is now a popular tourist route having been given tarmac surface in the past. 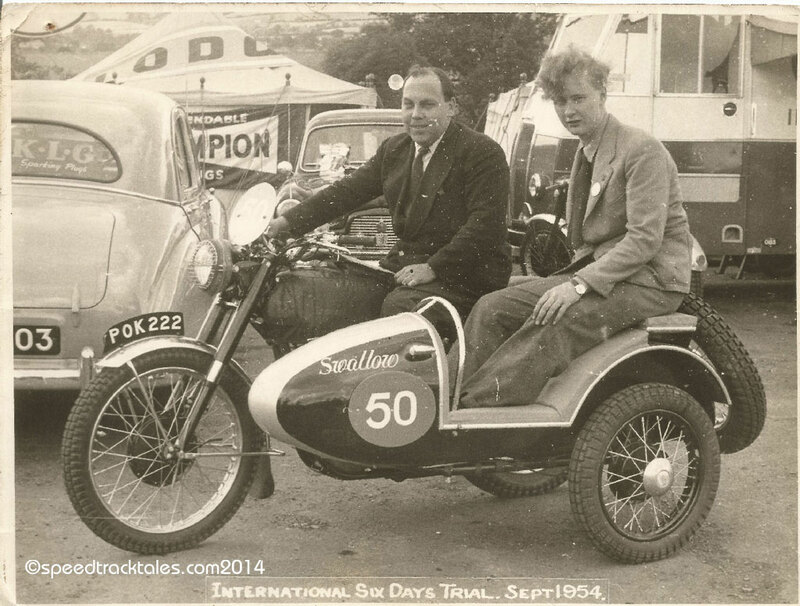 This picture was taken at the previous years Llandrindod Wells based ISDT 1937. 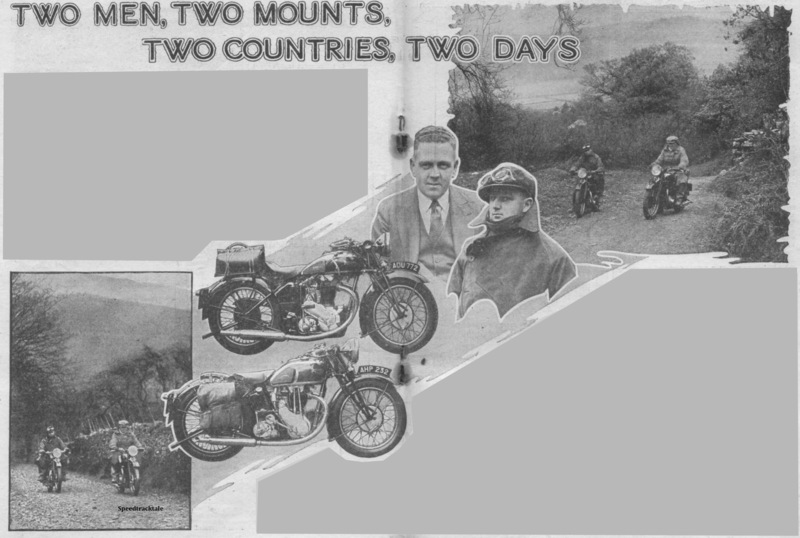 The riders are #181 A Fritsch of Germany on a BMW 730cc s/car who finished with a Gold Medal and is followed by #206 FC Perks on a privately entered BSA 496cc solo who also finished with a Gold medal, riding in 1938 on a BSA 496cc and retiring on the 5th day.